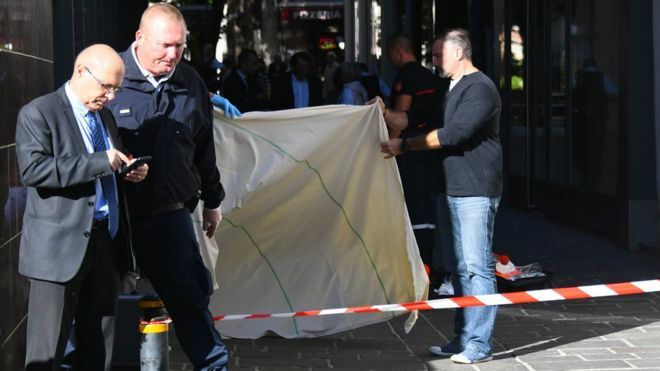 A police chief has been stabbed to death in the city of Rodez, in southern France, outside the city hall. Pascal Filoé was stabbed three times in the middle of the street by an individual known to police. French radio network France Info reports that the suspect's dog was taken away from him a week ago. This reportedly led him to threaten the mayor and the police chief. Mr Filoé died of his injuries in hospital shortly after the incident. The attack took place at approximately 10:00 local time (08:00 GMT). The Mayor of Rodez, Christian Teyssèdre, told AFP Mr Filoé was the father of three children. "The attacker was known to police. He had defaced the city hall door on 11 April", he said. Officials said emergency psychological support would be made available to staff affected by the stabbing.